Trick-or-treating is difficult for children with allergies to nuts, chocolate, or milk. Fortunately, there is a movement called the Teal Pumpkin Project that can help make Halloween safe for the 6 million children who suffer from food allergies. 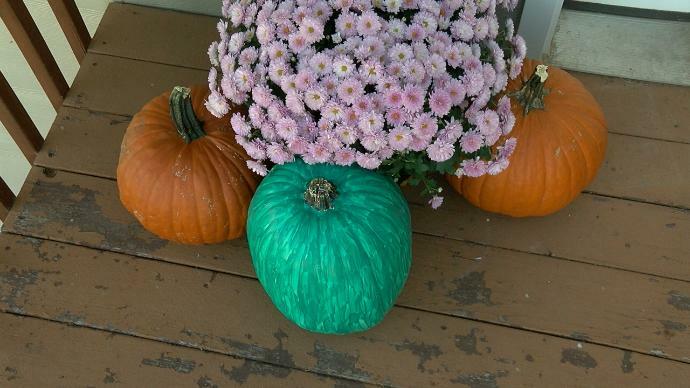 The Teal Pumpkin Project began as an allergy awareness project run by the Food Allergy Community of East Tennessee. The organization, Food Allergy Research & Education (FARE), launched the national program in 2014. It has since grown into a worldwide movement, spanning all 50 states and 14 countries. The initiative also helps children with diabetes and other dietary conditions. Anyone can participate in the project through two simple requirements. First, participants must place a teal pumpkin outside their doors or hang up a sign explaining what the project is. The sign is available on FARE’s website. Second, participants must provide a non-food treat for trick-or-treaters with allergies. Common non-food alternatives include glow sticks, stickers, bubbles and novelty toys. Many parents see the importance of the Teal Pumpkin Project. Some have used this initiative to teach their children about allergies and empathy by asking them to imagine what it is like to have a food allergy. “This is a great way to include all children in the Halloween festivities,” one parent said.